Features a 3/8" wool felt top and a memory foam insert, 1/2" memory foam insert conforms to your horse’s back, helps reduce pressure points and returns to its original shape after each use. 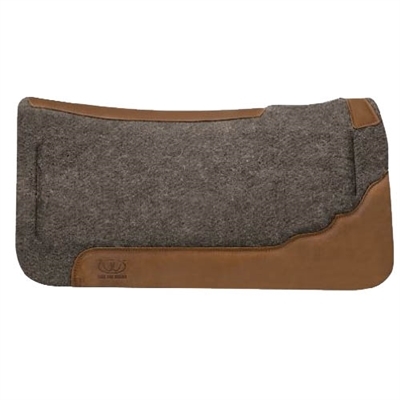 The felt underlining provides shock absorption, wicks away moisture, and can be cleaned with a damp cloth or brush to remove the dirt and sweat. Measures 31" x 32". Dark gray. Made by Weaver.